It is free to use – you can sign up and use the majority of the features for free. 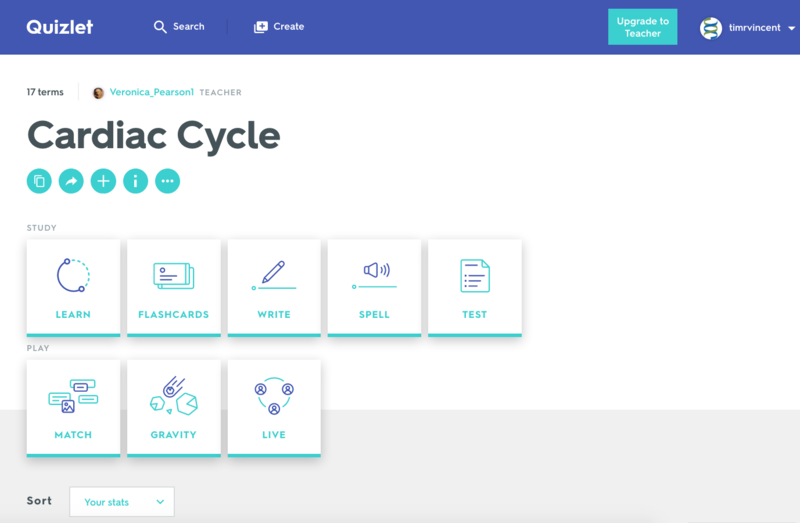 There is a Teacher paid-for version (£3/mo) which offers progress tracking, creation of specific classes, and others but all the core features for learners are there. 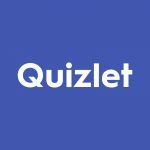 Use existing quizzes – search for and use thousands of existing quizzes. You don’t need to create anything if you don’t want to! Or you can take a copy and adapt an existing quiz to tailor it to your needs. A range of learning modes – it offers learners a variety of approaches to help learn and test themselves – selecting multiple choice answer, typing out answers, listening to answers, playing competitive quiz games which add a motivational factor. High quality images – there are a wide range of high quality medical images that can be utilised for free. This makes it possible to ask more detailed questions and you don’t have to worry about getting your own legal images. The paid-for version allows you to upload your own images. Effective repetition and feedback – the system has the ability to repeat the questions that students get wrong, often asking the questions in varying ways. It also gives effective feedback on performance, giving a helpful overview of what they are getting right and what they need to focus on. 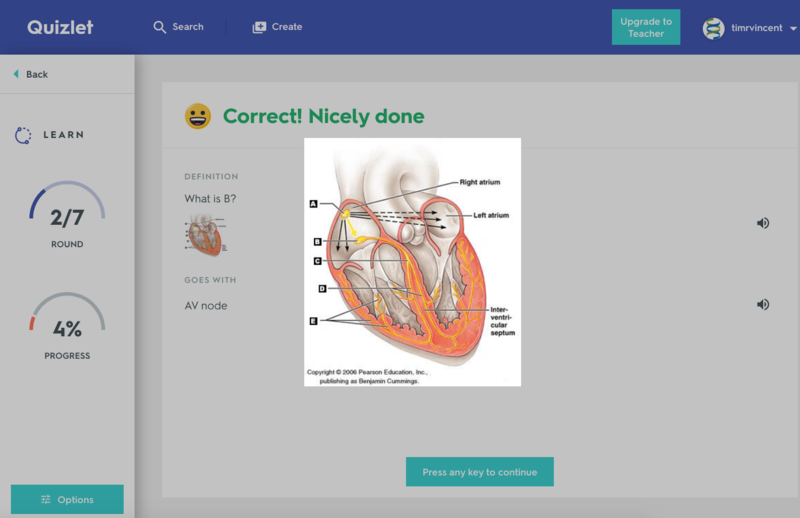 Students can create quizzes to learn – Recently, some Year 2 undergraduate students came to me saying how useful they were finding it and would the medical school be able to utilise it more formally in the course with BSMS content. 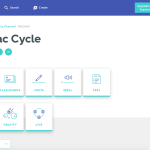 While we may not do this yet, it was interesting to hear that these students felt they were benefiting from creating quizzes themselves for their peers to use; this was helping them learn effectively. There aren’t many I don’t think. As with any new tool, you need to have a play to find out how it works but I think it is relatively easy to find an existing quiz or create your own. It is designed to support the learning of facts and knowledge – it is not claiming to be operating at higher domains of evaluating or synthesis; it is a tool to help learn a lot of terminology and information. It’s not officially supported by either University so, as with any third-party tool, it comes with the usual caveat that you will need to explore under your own steam and the Universities can’t make any guarantees of its availability. But that shouldn’t stop you. 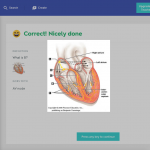 Why not have a go with Quizlet and see if you can use it for your students? Drop a comment below or email me if you want to know more. I mentioned this to Malcolm and his first instinct was that unless I had intellectual property approval from copyright holders, that student-formulated tests would be a legal minefield. The same would be true with any pictures that are not public domain. Thanks Harry. Yes, an important consideration but possibly not prohibitive. There are lots of great images provided by the platform which should be fine. Yes, other images uploaded by third parties (us) and shared with other users under the public setting (default on the free licence) would need to be copyright cleared. Happy to explore.